Ocean view infinity pool and spa with a jewel of an ocean view. Endless unobstructed views from the pool and spa. 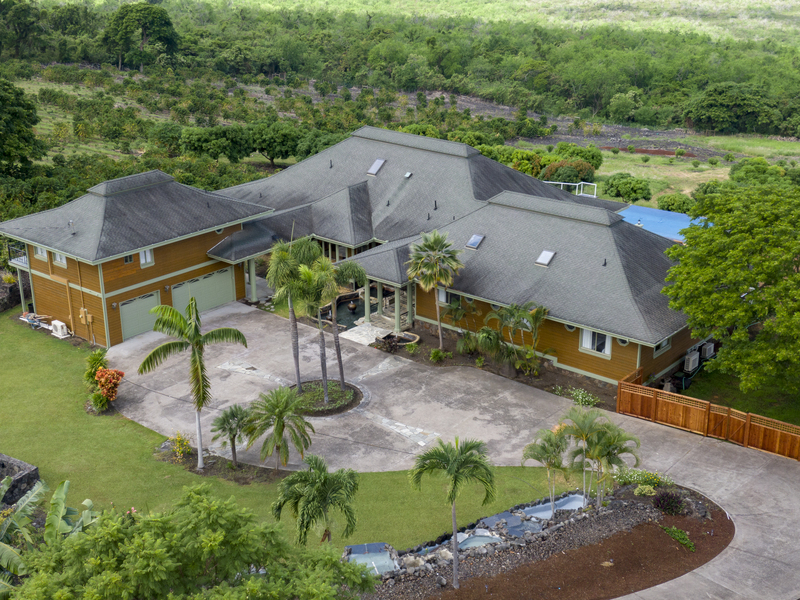 Aerial view of the estate house amidst the coffee plantation. Formal dining area if the ocean view great room. 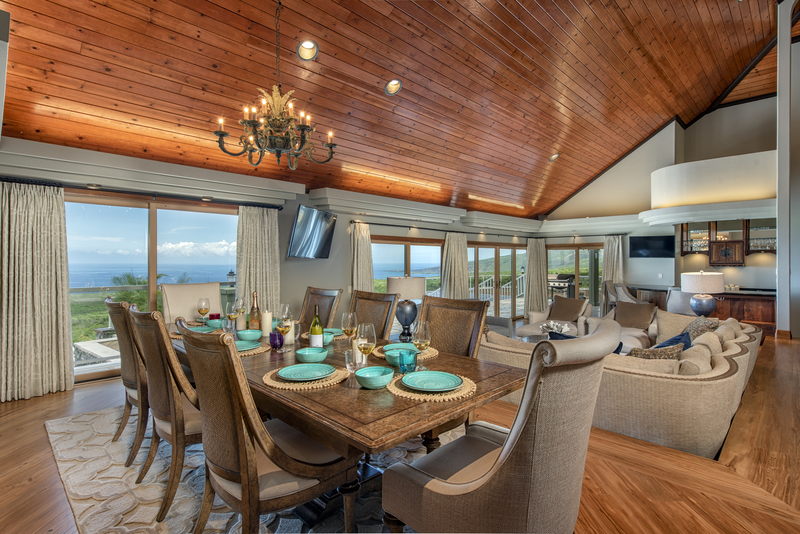 Living and dining area with direct pool/patio access, a wet bar and expansive ocean views. 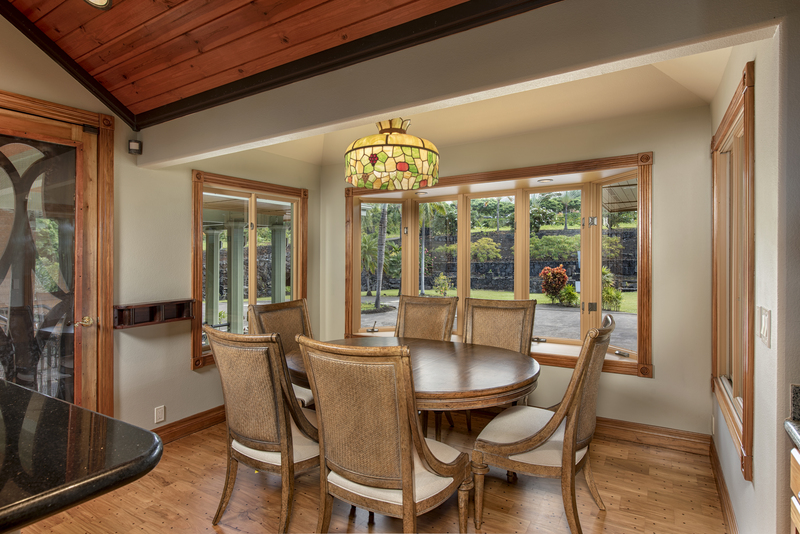 Open kitchen with access to formal dining and living areas. Dining nook right beside the kitchen. 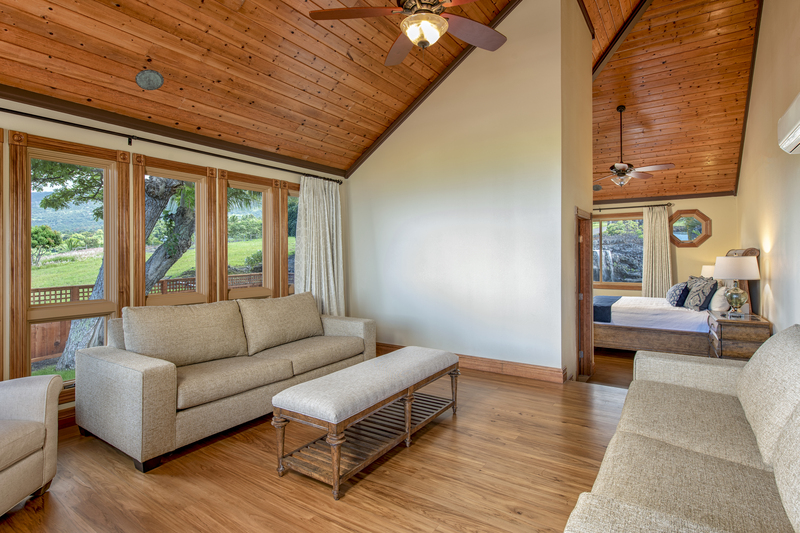 Master bedroom with vaulted ceiling, seating area, sliders to pool/patio and flatscreen TV. 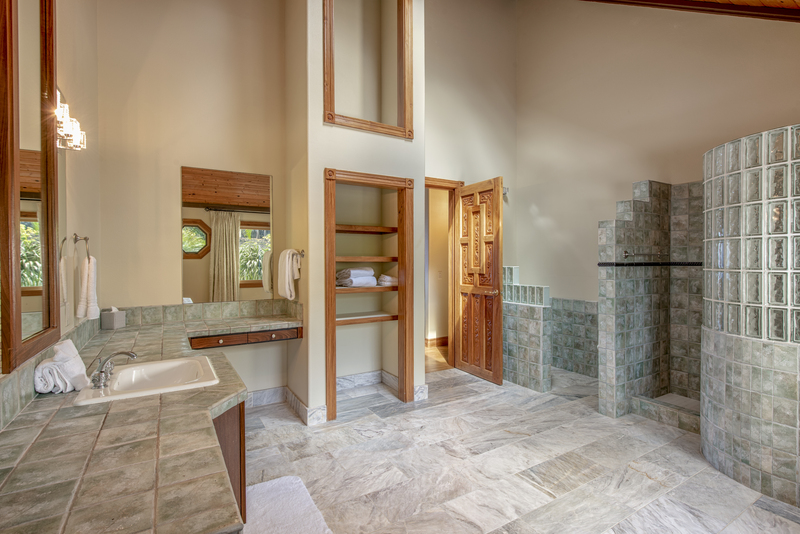 Expansive ensuite master bathroom with walk-in shower and vanity. 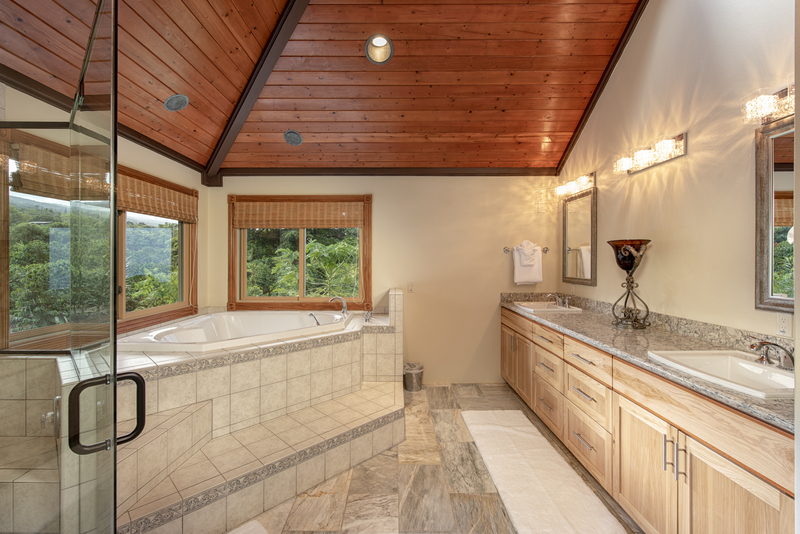 Spa tub in master bath. 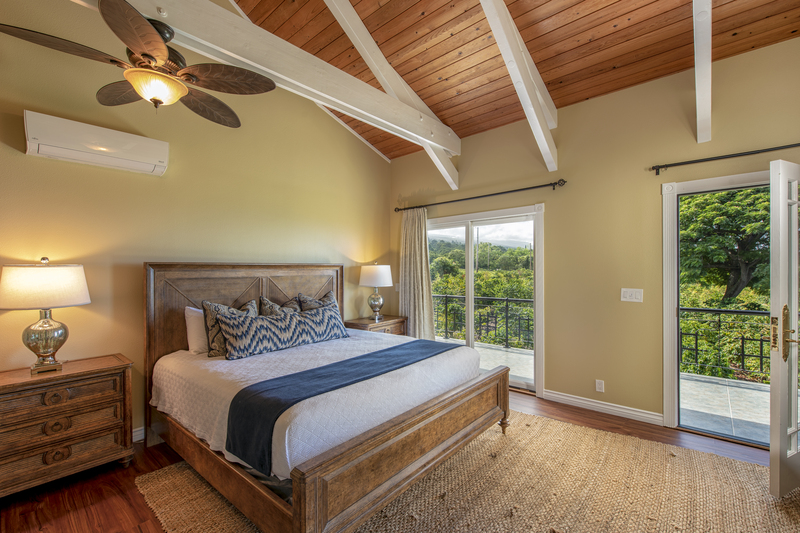 Master Bedroom Porch with endless views and access to pool/patio Suite #1 with ensuite bathroom, vaulted ceilings, seating area, two pull out couches and a flat screen TV. Suite #1 ensuite bath with shower/tub combination. Suite #2 with ensuite bathroom, direct pool/patio access, seating area and flat screen TV. Suite #2 en suite bathroom with large walk-in shower. 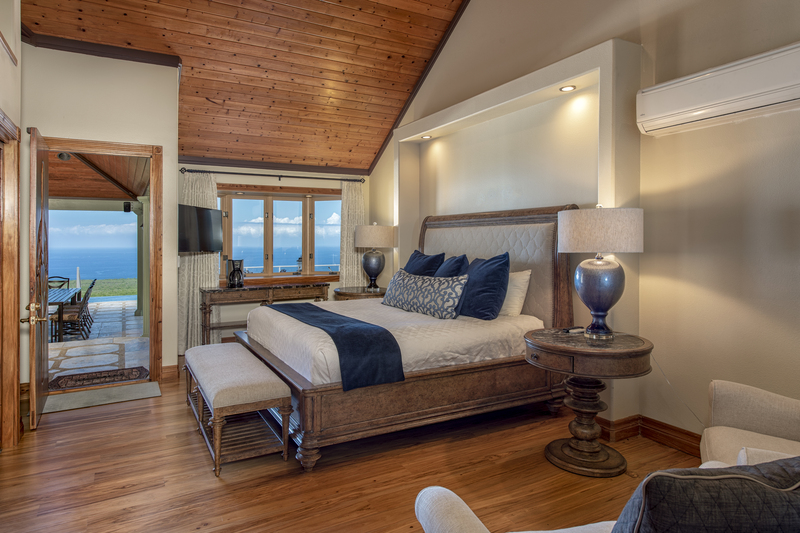 Suite #3 with seating area, ensuite bath, flat screen TV, ocean Views and direct access to pool/patio. Suite #3 en suite bath with seating area and shower. Suite #4 (upstairs) with seating area, balcony, flat screen TV and plantation views. 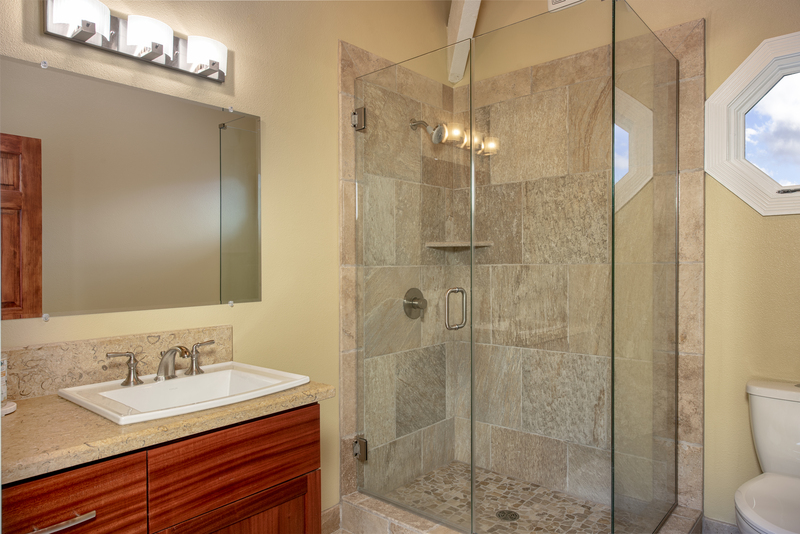 Suite #4 en suite bath with walk-in shower. Suite #5 (upstairs) with balcony access, a queen pull-out sofa and plantation views. Suite #5 en suite bath with walk-in shower. 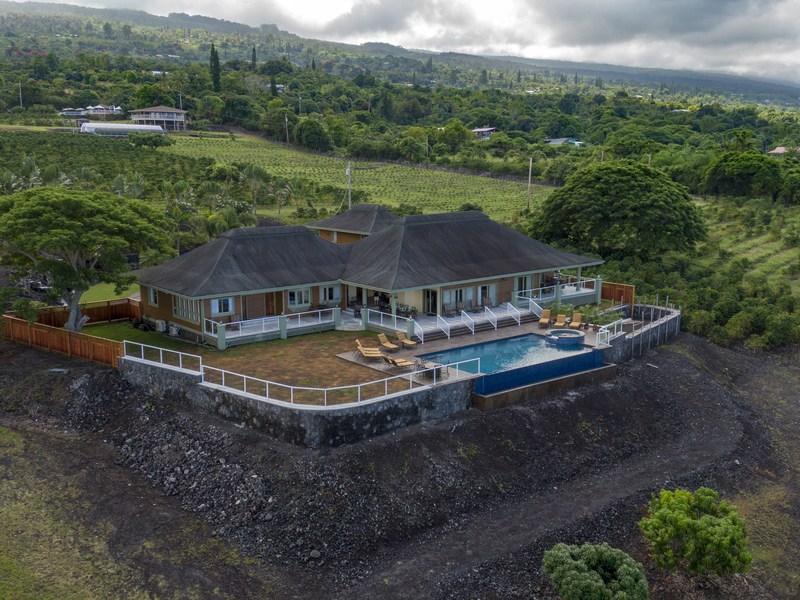 Drone view of the Estate Home at Bay View Farms Coffee Plantation. Bay View Farms Estate House. Bay View Farms Estate House. 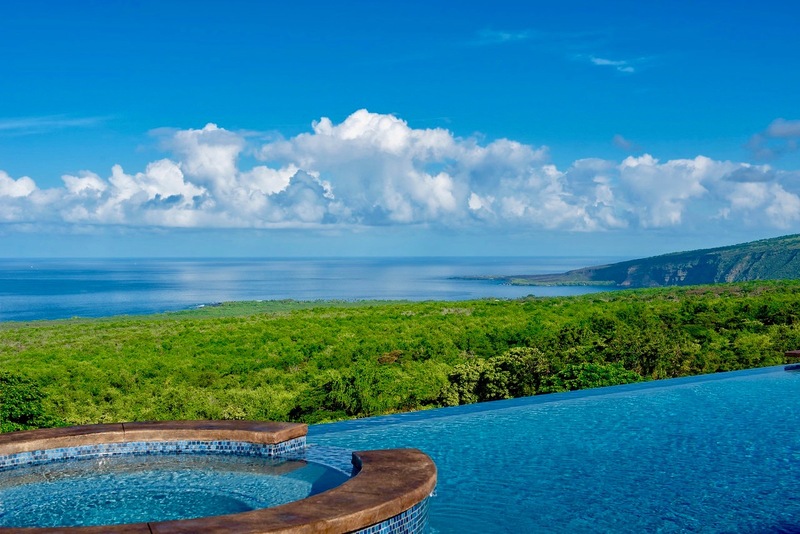 Unobstructed view of the Mokuakae Bay from the pool/patio of this 6400 sq. ft estate home. Tent to the side of the home. Retreat to a gentler, slower paced era in this beautifully decorated 6 bedroom, 6.5 bath, 1-2 story, 6400 sq. 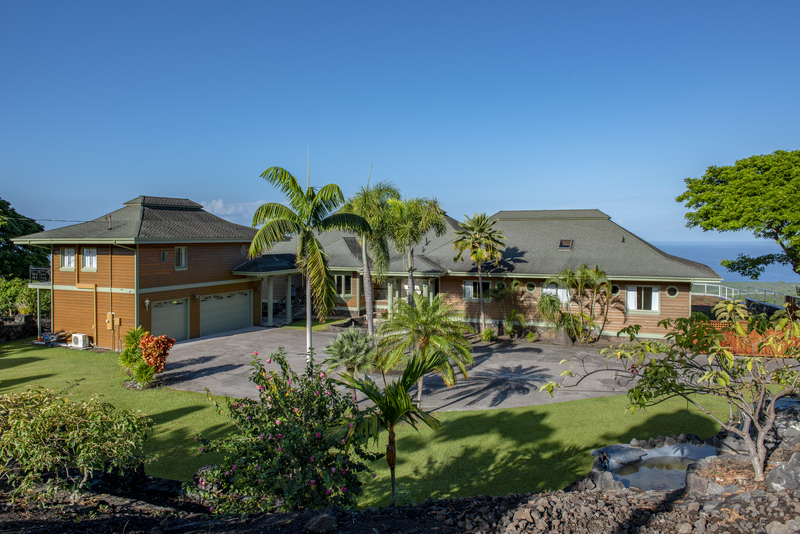 ft. “Estate Home” surrounded by 18 acres on one of the most pristine working coffee plantations on the Big Island of Hawaii. Just a short drive to the beach and local restaurants. 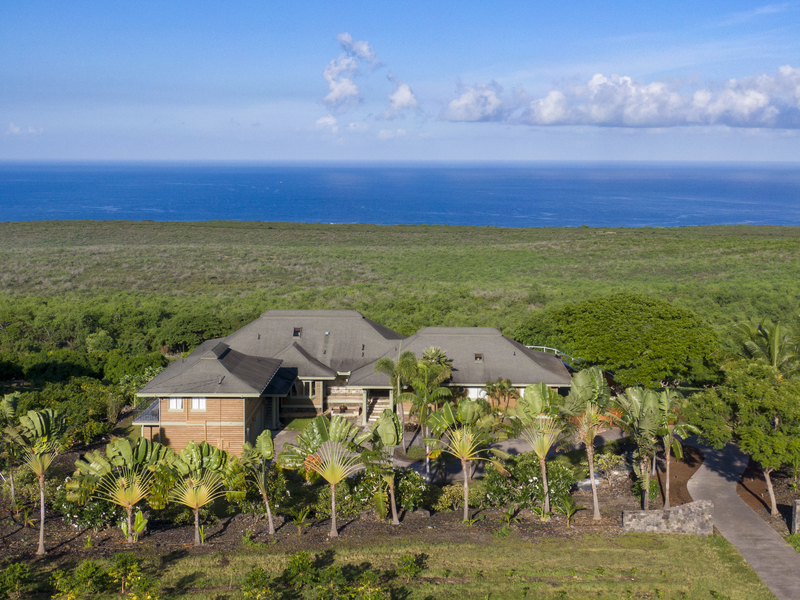 This home has endless unobstructed views of Mokuakae Bay and the ocean beyond - from the infinity pool/spa and a beautifully furnished poolside deck/patio - you will not find a more a relaxing place to lounge, barbecue, or dine al fresco any time. What an amazing location for your family trip, wedding or a special event! The main entrance presents an expansive lanai with beautiful pool and ocean views and easy access to the patio. 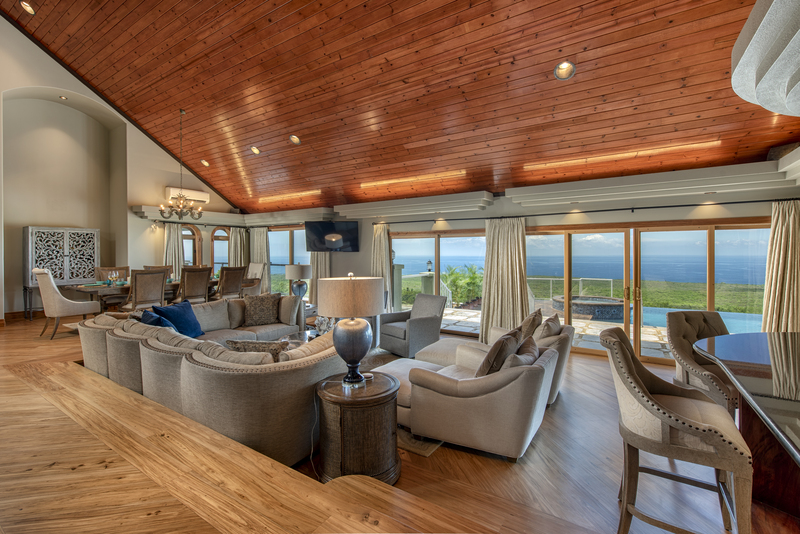 Enter the great room with the main living area with a wet bar, a large flat screen TV, and lots of cluster seating from which to enjoy the TV and the sweeping views - all at the same time - accompanies the formal dining area that seats 8. 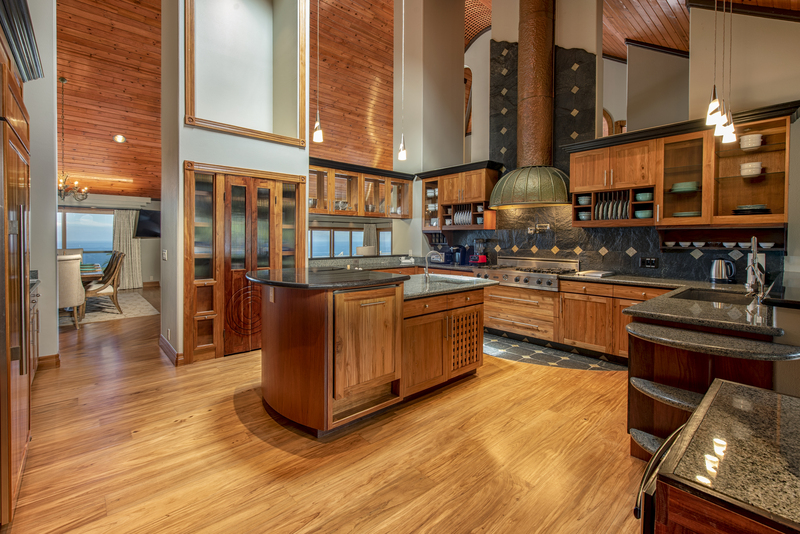 The beautiful expansive kitchen has a large island and everything you need to satisfy your culinary desires including a dining nook with seating for 6. Just add the food and the fun and create memories that will last a lifetime. There are 3 additional bedroom suites that open directly to the pool/patio area. 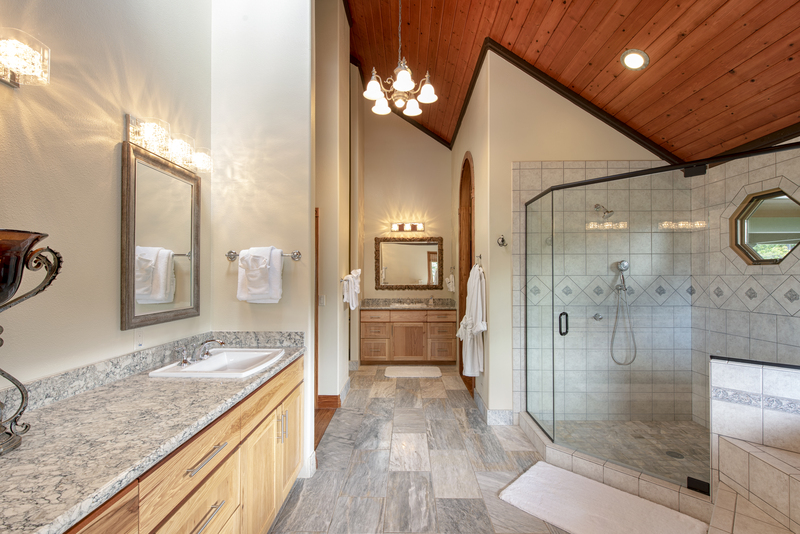 The 1st suite has vaulted ceilings, a seating area with two full pull-out couches, a flat screen TV, and a shower/tub combination in the en suite bathroom. 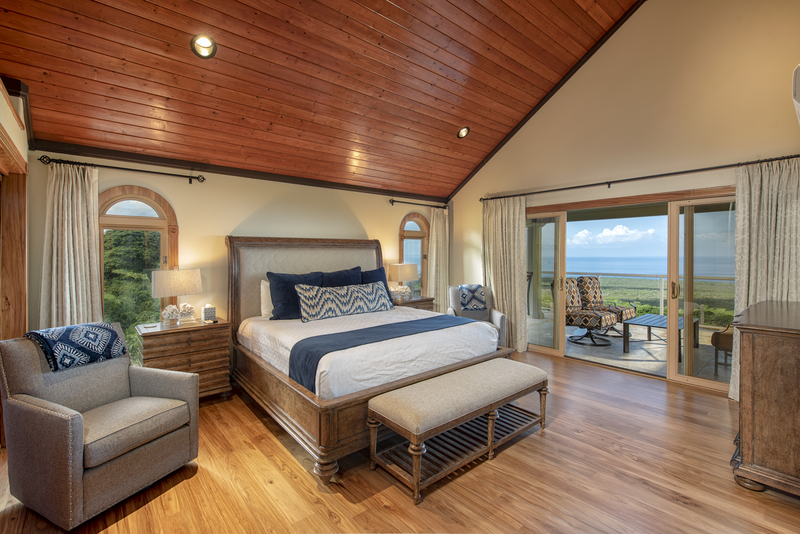 Suite # 3, has a king bed, direct pool/patio access, a seating area, a flat screen TV and an en suite bath with a shower. 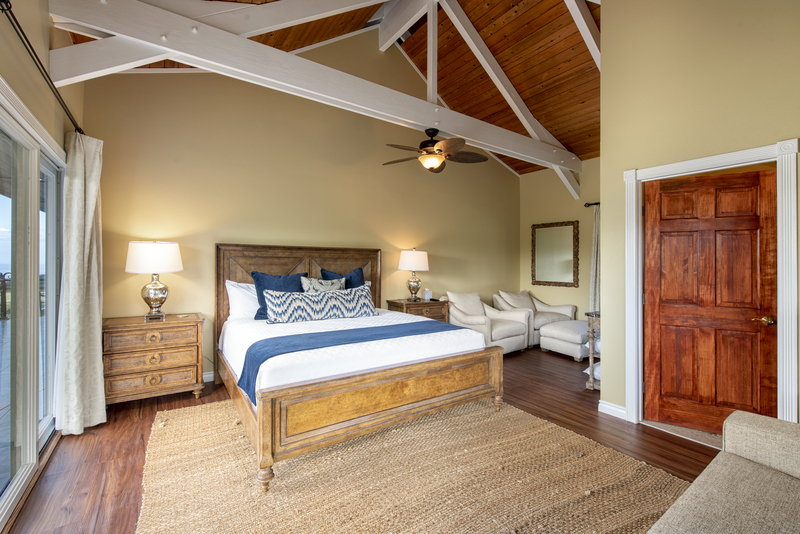 Suites #4 and #5 are almost identical and are located on the second floor and are equipped with king beds, full sized pull-out couches, flat screen TV ‘s and balcony access with plantation views. 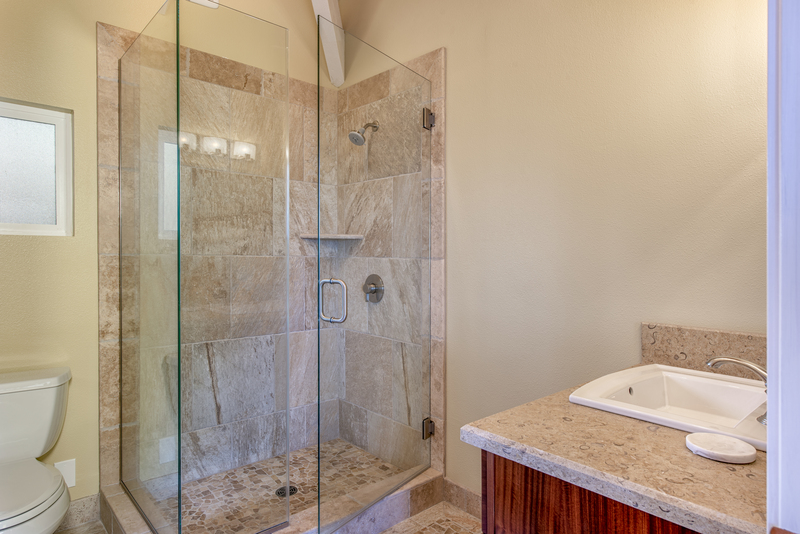 Each en suite bath has a walk-in shower. Come enjoy this versatile, unique slice of paradise where you can relax, recharge and connect as you create beautiful memories that will last a lifetime. 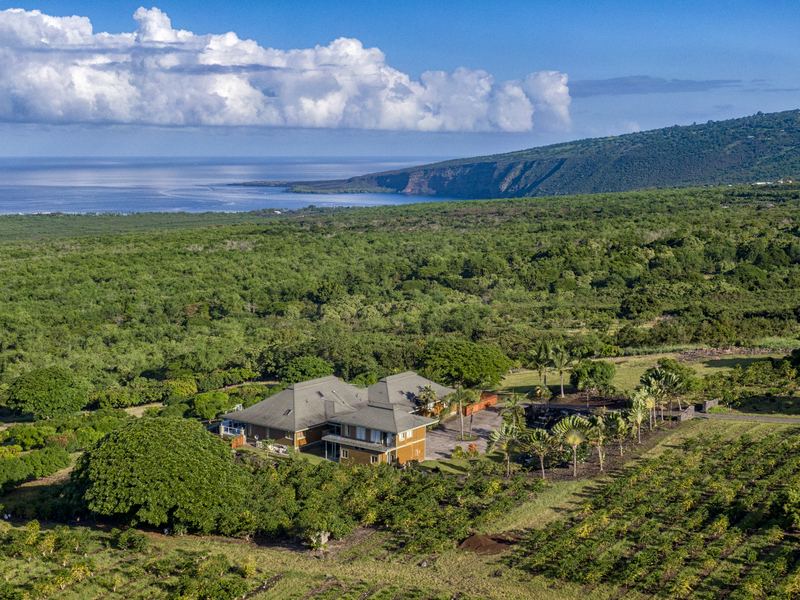 - Spectacular setting – on a working coffee plantation with sweeping views of Mokuakae Bay and the shimmering Pacific Ocean. - Easy access to pool/spa and patio from so many rooms. 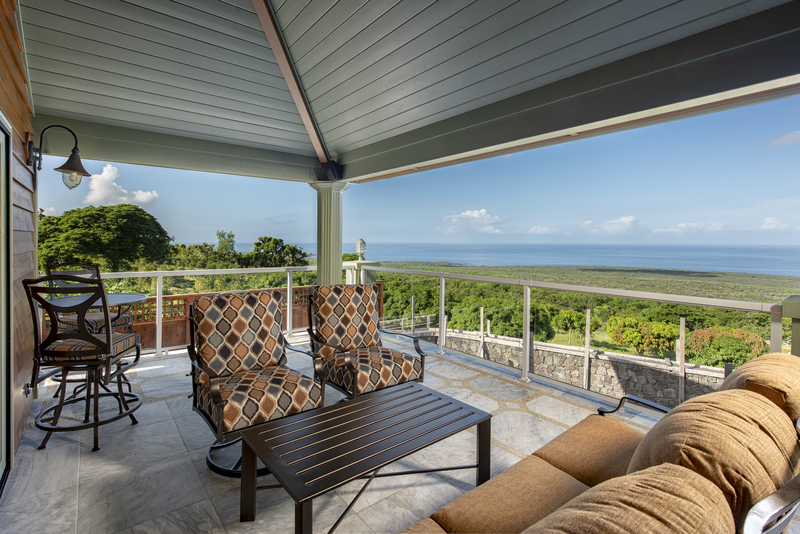 It is truly easy to experience the best of indoor/outdoor living here. 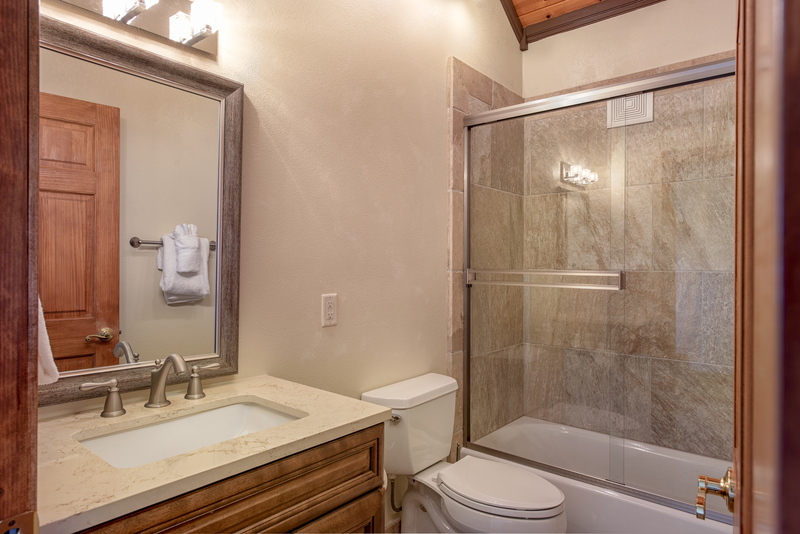 - Each of the 6 spacious suites has it’s own beautiful en suite bath, TV, and nooks for reading or relaxing, so it easy to get some private time amongst all of your happenings. - Available for special events. Contact us for details. - Reviewed By Barb J.
Wow! What an amazing vacation home! We loved staying at the property! It was everything we were looking for and more! The views were breathtaking. The pool was the perfect place to relax and enjoy family time. The home was very accommodating and looked fresh and new. We highly recommend this home for your next vacation. We can’t wait to come back soon! - Reviewed By Helen E.
Amazing property, just what the team needed! its never an easy task to convince your team to spend a solid week togehter team building.......that is until they see this place. After a challenging first quarter i wanted to take the team away to rest, recharge and regroup. 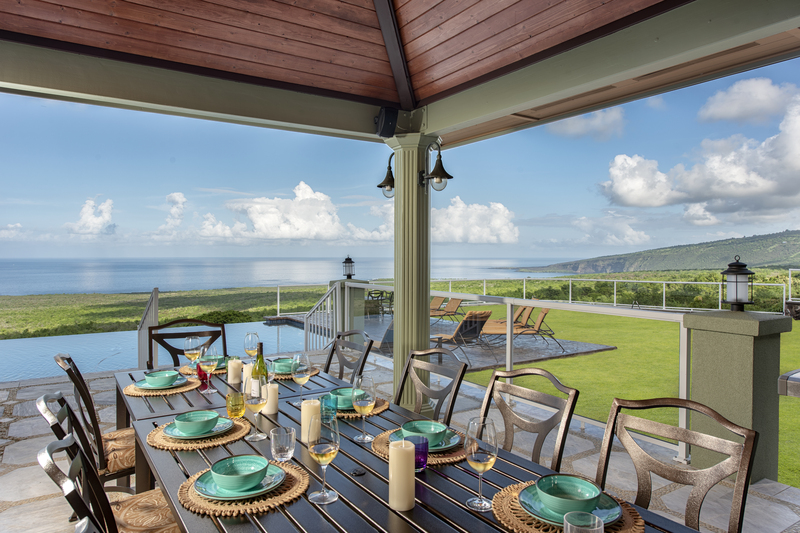 the property at Bay View Farms was ideal, not only does the main house offer 6 bedrooms, the smaller Decagon house on the same property offered an additional 3 bedrooms. 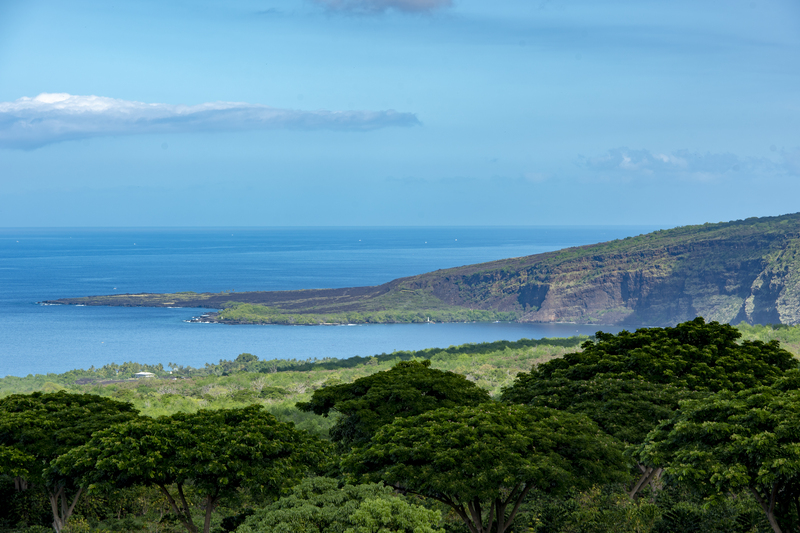 Combing peace and tranquility of the property with carefully selected local chefs and of course some thrills with Kapoho Kine Tours, this made for an unforgettable trip. A massive reset button was pressed and the team are now negotiating their return trip. What a truly incredible lovation, with breathtakingviews that never end. we will be back! Magical Destination on Iconic Captain Cook Bay! This property is mesmerizing, quiet tranquility and! Perfectly appointed for family or just a couple and completely private with views that you will remember for the rest of your life! I will stay here again and again. The staff on property are super nice and its a Kona Coffee Farm too! Mahalo Brandon for all your Hawaiian Hospitality! - Reviewed By Shaun R. !! WE FOUND PARADISE !! WOW! This house was amazing. The house is located on a coffee plantation and has views for days. We had a group of friends that all have small children. 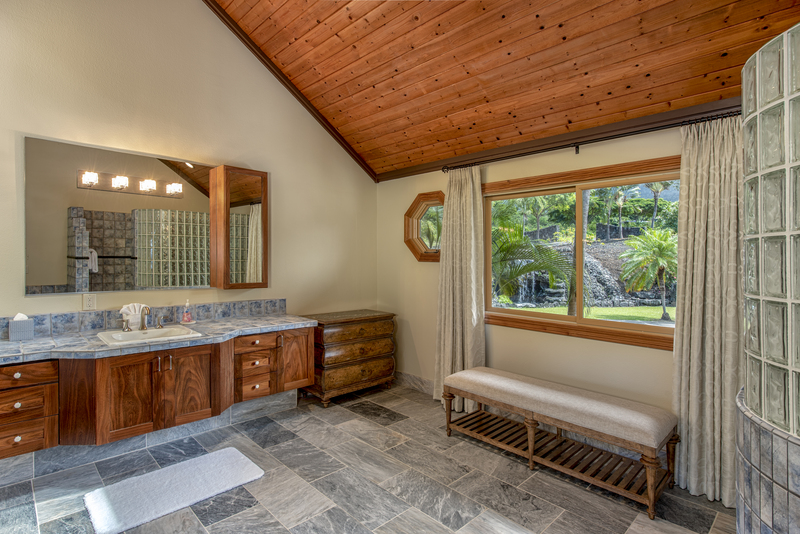 Each of the bedrooms has a private entrance with ensuite baths and lounge areas. 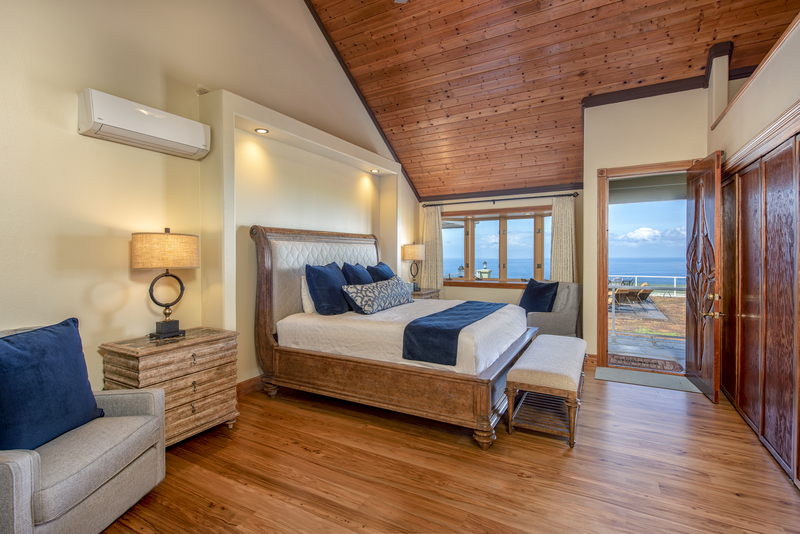 There's great A/C and TV's in every room. 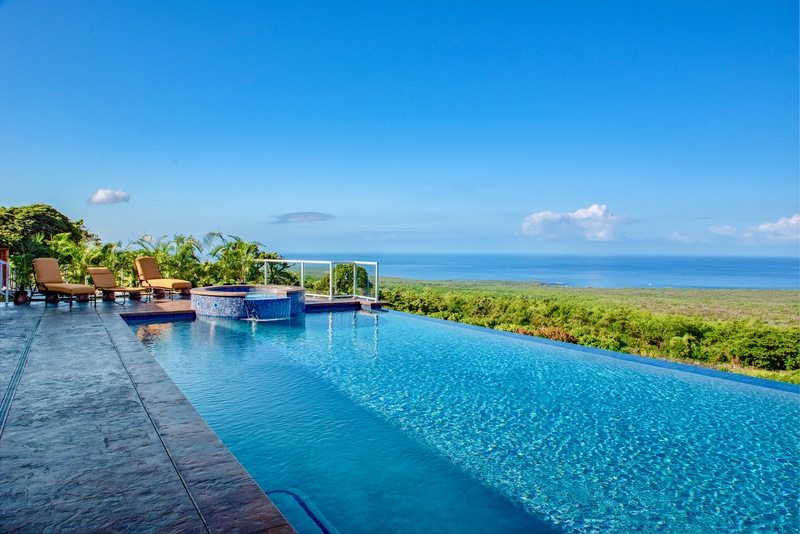 But who wants to spend time inside when you have endless views of the bay, the Bay View Coffee farms and som much more from the infiniti pool and hot tub. This has just become an annual trip!! (also the staff at the tasting room at the front entrance to the grounds was so increadibly nice and welcoming. We can't say enough good things! - Reviewed By Alison M.